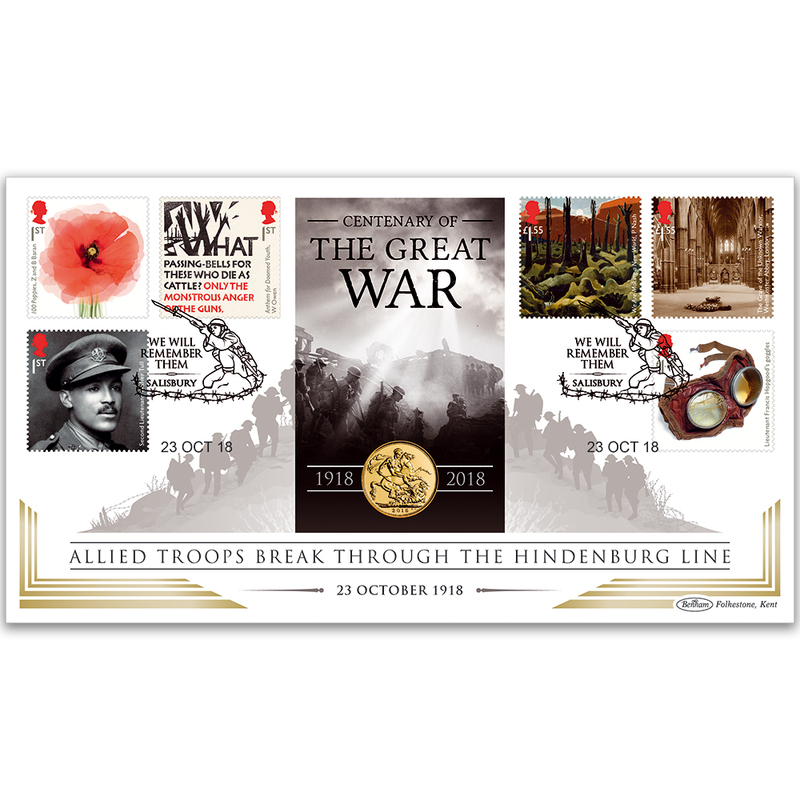 An outstanding World War I Centenary Benham Gold Sovereign cover marking the anniversary of the Allied breakthrough of the Hindenburg Line in the final months of the Great War. Pride of place goes to the 2018 British Gold Sovereign encapsulated in an image of the advancing troops. The 22-carat-gold coin bears the fifth portrait of HM The Queen, created by Jody Clark. Produced in a limited edition of just 100. A highly collectable, prestigious cover.